Yamla Pagla Deewana Phir Se, which was earlier scheduled to release on August 15, will now be releasing on August 31, reports news agency IANS. The film's release has been shifted to another date in order to avoid clash with Gold, starring Akshay Kumar, and Satyameva Jayate, featuring John Abraham. During a recent interview, Sunny Deol, who plays a pivotal role in the film, told IANS: "Since August 15 has two patriotic films, Gold and Satyameva Jayate, which are topical for the day and on August 24 we have our family friend Anil Sharma's son being launched. He has our blessings." Sunny added, "Our film is a wholesome family entertainer, hence we have decided to release our film Yamla Pagla Deewana Phir Se two weeks later on August 31." 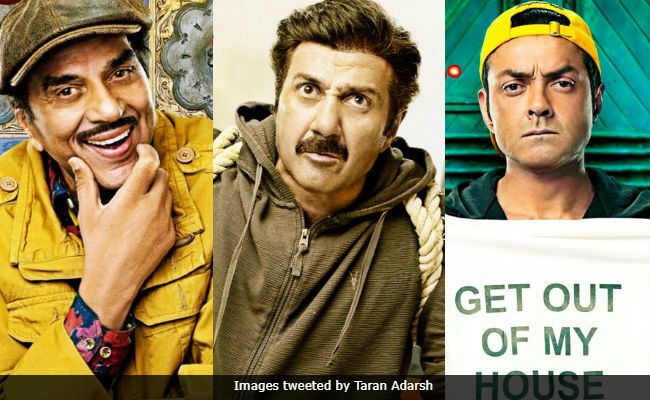 Yamla Pagla Deewana Phir Sefeatures father-son trio Dharmendra, Sunny Deol and Bobby Deol. It also features Salman Khan in a special appearance. Apart from the three Deols, the film also stars Kriti Kharbanda, Binnu Dhillon, Johnny Lever, Gurmeet Saajan and Rana Ranbir. Sonakshi Sinha has also been roped in for a special song appearance in the film. Yamla Pagla Deewana Phir Seis the third installment of the Yamla Pagla Deewana series. While the first part of the film released in 2011 and fared well at the box office, the sequel did not. Directed by Navaniat Singh, Yamla Pagla Deewana Phir Se is a comedy-drama, which will release on August 31.